Home Tags Posts tagged with "kunming"
Chinese police captured three suspects involved in Saturday’s deadly mass knife attack at Kunming railway station, state media report. Several men and women burst into the south-western city’s railway station stabbing people at random, leaving 29 dead and wounding more than 130. Officials have blamed separatists from the Xinjiang region for the attack. Four attackers were shot dead by police at the scene, officials say. An injured female suspect was reportedly detained. Citing a statement from the Ministry of Public Security, Xinhua news agency said six men and two women, led by a person identified as Abdurehim Kurban, were responsible for the attack. There were no details about how the suspects were identified and captured. Officials say that evidence, such as insignia recovered from the station about “East Turkestan”, points to the involvement of separatists from Xinjiang – a region in the far west of China bordering Central Asia. China’s security chief, Meng Jianzhu, has vowed “all-out efforts” to “severely punish terrorists”. Eyewitnesses described horrific scenes on Saturday, saying that in just 12 minutes attackers used curved swords and meat cleavers to stab people at random as they rampaged through the station. Kunming is the capital of China’s Yunnan province. 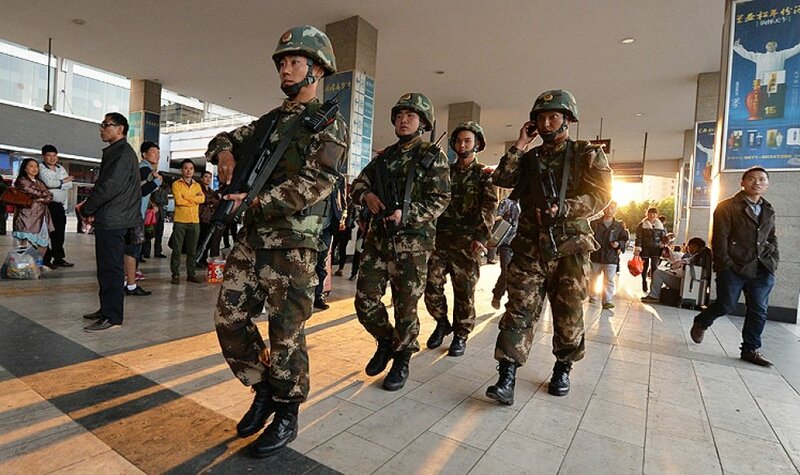 On Monday, security was tight, with a heavy police presence at Kunming station and surrounding areas. Xinjiang is home to the Muslim Uighur minority group. Recent months have seen several violent incidents there which the government has blamed on extremists. Verifying these reports is difficult because foreign journalists’ access to the region is tightly controlled. China is often accused of exaggerating the threat of Islamist terrorism to justify its harsh security crackdown in Xinjiang and the restrictions it places on the religion and culture of the Uighurs. 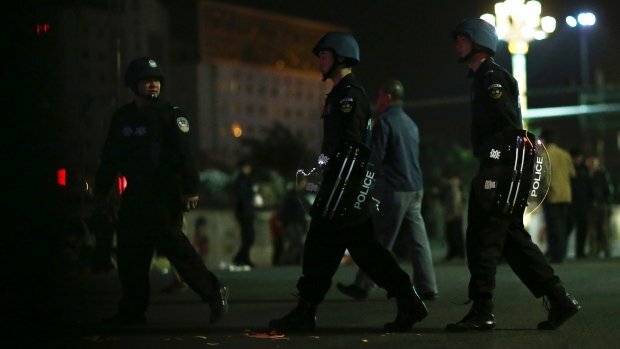 Chinese separatists Uighur Muslims from the north-western Xinjiang region are blamed for the mass knife attack at Kunming railway station that left 29 people dead and at least 130 wounded, officials said. A group of attackers, dressed in black, burst into the station in the south-west city of Kunming and began stabbing people at random. Images from the scene posted online showed bodies lying in pools of blood. 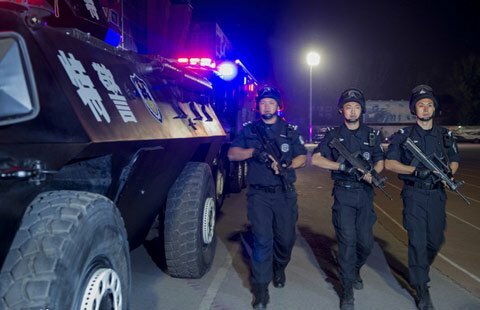 State news agency Xinhua said police shot at least four suspects dead. A female suspect was arrested and is being treated in hospital for unspecified injuries while a search continues for others who fled the scene. Authorities described the incident as an “organized, premeditated, violent terrorist attack”. 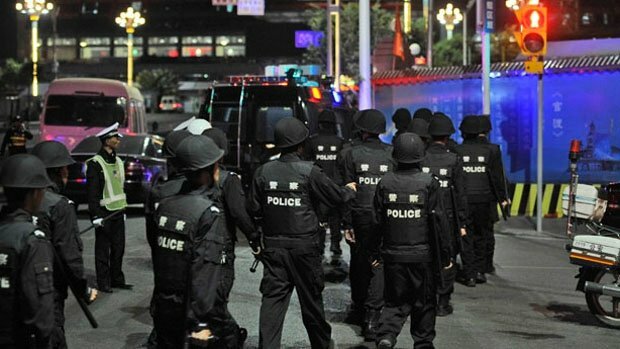 The Kunming city government later said that evidence from the scene pointed to separatists from Xinjiang as being behind the attack. It gave no details and the claim could not be verified. Some of Xinjiang’s minority Uighur Muslims want autonomy from Chinese rule and an end to state suppression of their religion. Witnesses in Kunming said those who couldn’t run quickly were cut down by the attackers’ knives. A survivor named Yang Haifei, who was wounded in the back and chest, told Xinhua he had been buying a train ticket when the attackers rushed into the station. “I saw a person come straight at me with a long knife and I ran away with everyone,” he said. First reports said the attackers were only men, but witnesses and police later said the group also included women. Chinese President Xi Jinping and PM Li Keqiang sent condolences to the victims and their families. President Xi Jinping urged “all-out efforts” to investigate the attack. “Severely punish in accordance with the law the violent terrorists and resolutely crack down on those who have been swollen with arrogance,” Xinhua quoted the president as saying. The incident comes a few days before the opening of China’s annual parliamentary session, the National People’s Congress. At least 27 people died in a knife attack at a train station in Kunming, south-west China, the state news agency Xinhua says. Nothing is known so far about the motivation behind the attack, in which 109 people are said to have been hurt. Xinhua gave few further details, and the men responsible have not been identified. A local television station said several of the attackers had been shot by police, according to Associated Press. Chinese state television described the incident as a “violent terror attack”. Eyewitnesses said that the men started attacking people at random. Social media users in China have been posting pictures of the attack on the internet, but correspondents say they are being taken down. Mass stabbings are not uncommon in China, but none have been recently reported on this scale.